This unique botanical supplement promotes restful sleep and a refreshed state upon awakening. 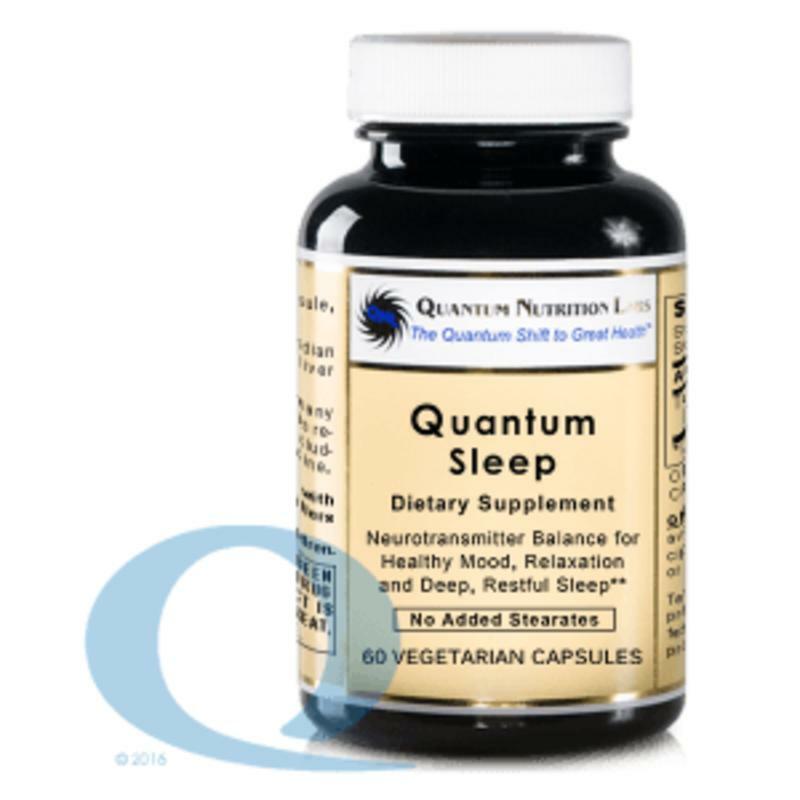 Quantum Sleep Support also supports overall relaxation, mental tranquility, calm mood and focus throughout the day. It also helps counteract stress via the hypothalamic-pituitary axis. Two Vegetable Capsules Provide: Calcium (as calcium carbonate)50 mg Magnesium (as magnesium carbonate)28 mg Seditol®366 mg Proprietary blend of patented extracts1 from Magnolia (bark) (Magnolia officinalis) and Jujube (seed) (Ziziphus spinosa) Sleep Pro Blend™302 mg Turkey Tails (mycelia, fruiting body, spore) (Coriolus versicolor), Organic Chlorella (Chlorella sorokiniana), L-Theanine, Olive Leaf Extract, Valerian (root) Extract (Valeriana officinalis), Turmeric (rhizome) (Curcuma longa), Japanese Knotweed (root) (Polygonum cuspidatum) Other Ingredients: Vegetable Cellulose Capsules 1US Patent No. : 6,814,987 Seditol® is a Registered Trademark of NPI, LLC.